Until recently she was the host of the BBC's golf output including The Open, The Women's British Open, The Scottish Open, The US Masters and The Ryder Cup. 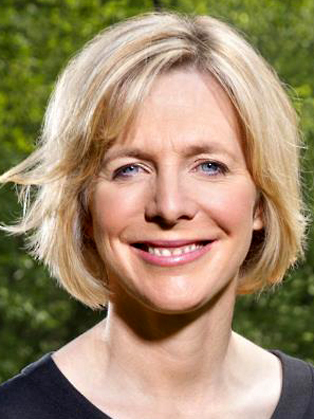 A presenter of the BBC’s athletics coverage for 11 years and of Ski Sunday for a decade, her varied credits also include Wimbledon, the London Marathon and the Boat Race. She has reported from four football World Cups and European Championships, presented Grandstand and contributed to Football Focus and Final Score. 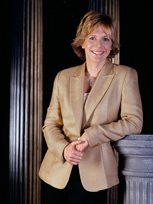 In addition to her role at BBC Sport, Hazel hosted the coverage of the 60th anniversary of the D-Day landings in 2004 and BBC2’s The Air Show. She presented Feeling Good and Outside Now for BBC Scotland, anchored its Millennium Night coverage and hosted the channel’s Children In Need appeal for 10 years. Much in demand for corporate work, Hazel has acted as MC at the Royal Television Society’s Sports Awards, the industry’s most prestigious event. She was the recipient of the RTS Award for Best Regional Presenter/Reporter in 1999 and was named Sports Presenter of the Year at the RTS Sports Awards of 2007. Hazel led the presentation of the BBC’s BAFTA award-winning coverage of the Berlin World Athletics Championship in 2009. Hazel is a graduate of the University of St Andrews where she gained an MA Honours degree in Art History. In 2005 she was awarded an Honorary Degree by the University of Stirling. She has representative honours in golf, netball and athletics and gained a full vest for athletics from Scottish Universities. In addition, she is the Chairman of the West of Scotland Institute of Sport and is proud to be the Honorary President of the Dumbarton Football Club Supporters’ Association. Hazel lives in Glasgow with her husband and daughter.